Mesh safety covers protect your pool and your family. That is why our pool safety covers are built to last with heavy duty hardware and strong seams. 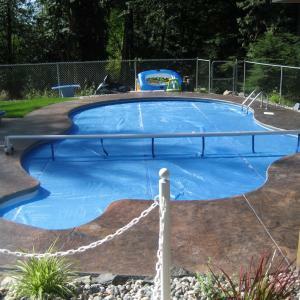 Whether you are looking for a mesh safety cover for your in ground pool, a swimming pool cover for an above ground pool, Taylormade Pools custom designs your swimming pool safety cover to fit pools of any shape or size.